Nicola D'Agostino (.net) » Screen shooting is hard: let’s go shopping (for copyrighted blurred images)! --> NicolaD´Agostino.net : altro : Screen shooting is hard: let’s go shopping (for copyrighted blurred images)! Screen shooting is hard: let’s go shopping (for copyrighted blurred images)! 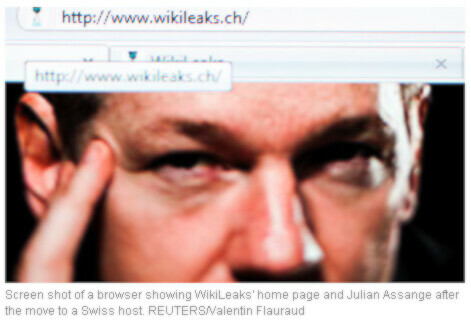 A recent opinion piece published on The Guardian’s website about Wikileaks is illustrated with a very peculiar image: a pedestrian hilarious close-up of a website, with credits given to a press agency and a photographer. This doesn’t make sense even moreso if you take into account how The Guardian is not a novice in Internet and technology matters. -) why The Guardian couldn’t do its own screenshot of a website? -) why did it credit not only the press agency but Valentin Flauraud, a photographer, for a screenshot? -) why is the screenshot so blurred?